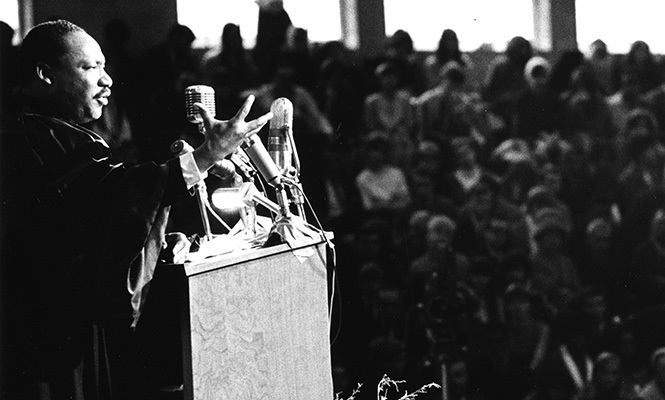 Jan 13, 2017 — Fifty years ago, Martin Luther King Jr. spoke on the Grinnell campus, delivering his prophetic message, "Remaining Awake Through a Revolution." 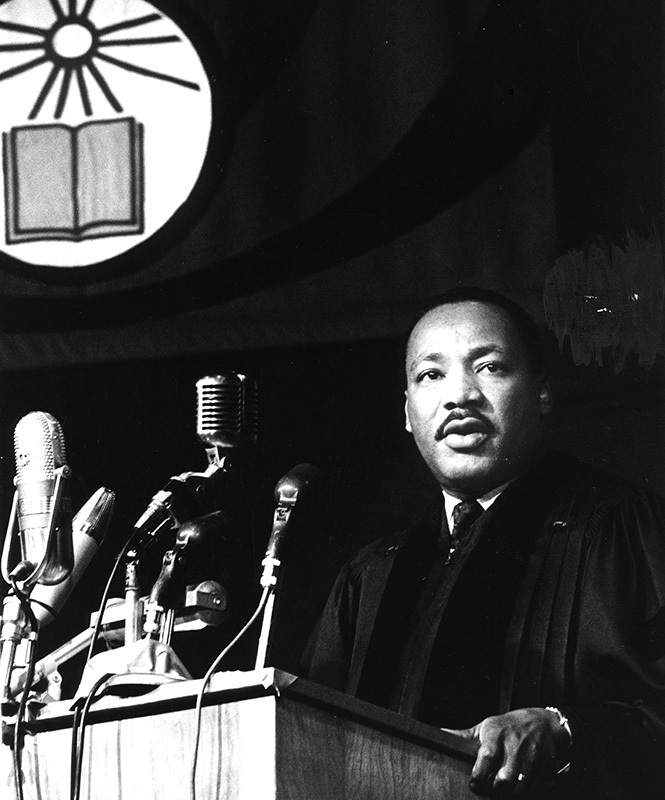 As he began on Oct. 29, 1967, King apologized that he would have to leave in time to get to Atlanta, Ga. that night and begin serving his 19th jail sentence for his involvement in the civil rights movement the following morning in Birmingham, Ala.
Robert Hodierne '68 and Derrick Te Paske '68 documented King’s visit. 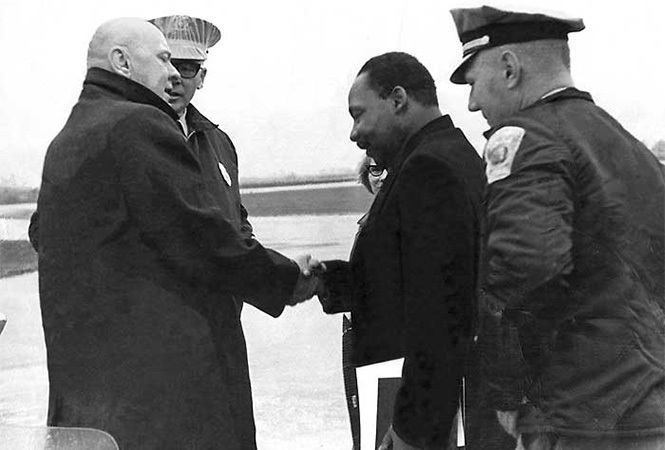 Martin Luther King, Jr.'s arrival at the Grinnell airport, where he was greeted by former FBI agent and Assistant to the President for Fundraising M. George Susens '35 (shaking hands), Grinnell Police Chief Bill Peters (right), and Sgt. 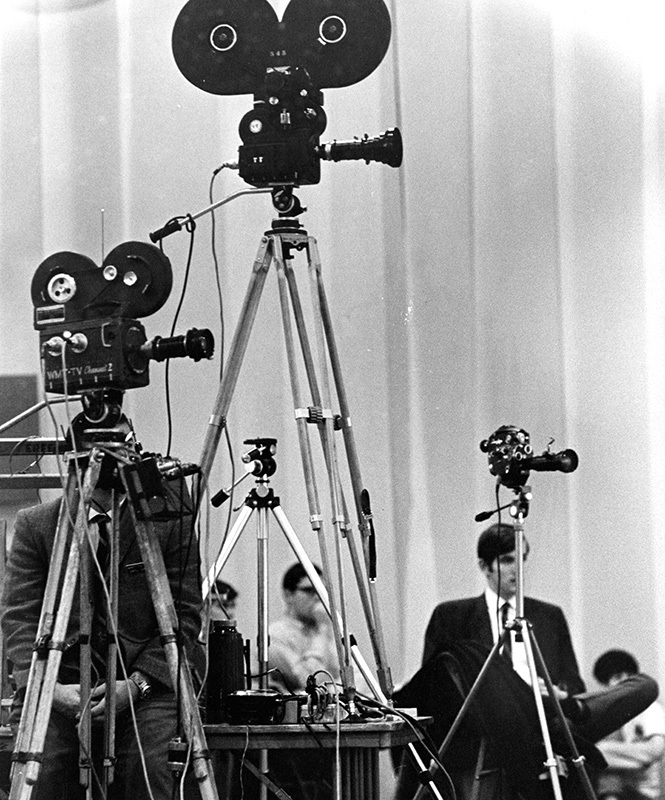 Donald Ellis (left). Susens acted as King's bodyguard during his visit.